It’s been a long wait, but the photo shoot that took place at our house last year has finally come out in the latest issue of Home Beautiful magazine, May 2014. There are 13 pages in total and I am really delighted with the result. The photography by Chris Warnes (who was in fact our neighbour at the time), styling by Stephanie Powell and article by Katrina O’Brien all combine to create a lovely article and memento of that wonderful house I miss very much. I was very flattered by the glowing words and appreciative of the opportunity to promote the blog and my business. I’ve had so many enquires and requests for my design services since, but am taking a break from work until later in the year. I’m afraid I could only upload a very low res version of the article, which took about 4 hrs as it was, so please excuse the poor quality. Photos courtesy Home Beautiful Magazine. Photography by Chris Warnes, Styling by Stephanie Powell, words by Katrina O’Brien. Now for an update on my internet woes – I’m afraid to report they still continue and with no end in sight. Hard to believe in this day and age, but not much I can do about it. We are working on plans for the new house and renovations, horrified at how much everything is going to cost (they call it the Highlands GST down here! ), but I hope to be able to blog again regularly, even if it’s sitting in a cafe in town with a laptop hitched to somebody’s Wifi. I am enjoying time down from work though, busier than ever though and loving the Highlands. I’m off to the Gold Coast this weekend for a university 25 year reunion – where does the time go? Can’t help but be a little bit excited about a few days away on my own, with uninterrupted shopping and dining, oh and being able to have a shower and go to the loo without an audience of three…..not that I won’t miss my family terribly :). We are about to submit our renovation plans to council so hopefully can get underway in the next few months, although I am having some major struggles making the kitchen work within the space, so spending a lot of time on Pinterest trying to find solutions and inspiration. Not that it’s an onerous task spending hours on Pinterest…. Dear Mel, sorry to hear about your internet problems, hopefully, something will work out for you soon. Enjoy your time in the Gold Coast. Look forward to your posting on your return. The magazine spread was amazing! Such a great result to be proud of. I’m very excited to hear that your plans are underway for the new house! Let’s hope your internet situation improves so that you can keep us updated on the blog. I’m looking forward to following the journey. Enjoy your time away this weekend. Congrats Mel…your home looks beautiful! Cant wait to see the new home and all the plans for it…hopefully your computer problems will be solved soon….good luck! Congrats Mel, it was a fabulous article & your home looked incredible, such a credit to you & all of that hard work. I can only imagine your internet frustrations. Have a fantastic trip away! Congratulations Mel! Gorgeous photos! So sorry about the internet issues. We have recently moved .. and are renovating a 30 yr old home. Our internet is finally up and running AND our construction plans are well under-way and we should begin building in a few weeks. I can imagine the busy days filled with all the details of the building project. It’s crazy but will all be worth it when complete. Best of luck to you! Trouverlesolei is not the right address ..
Hi Mel, Congrats on your home feature! Every room was beautiful. Best of luck with your new home, and the pesky Internet problems. Enjoy your holiday! I love your blog, and look forward to seeing your new home. Congratulations, Mel! Your work is so wonderful and deserves a full spread article like this. Will you be coming back to the US to shop for the new home? We hope so! Such a beautiful feature….I just love your taste!!! hey there! 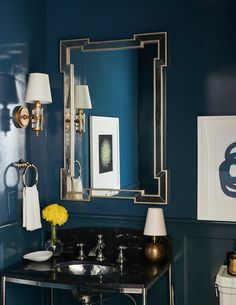 i found your blog via pinterest and I’m LOVING everything about your home, especially the colors! can you tell me what the name/brand of the front entry door color is? Thanks! You have infused blue & white with your own personality and made it work beautifully! No wonder everyone is clamoring for your design work! Hello. Really lovely!! I’m wondering about the clever use of the Ikea console featured in the entry? Would you know the name of it, and how it was modified? I’ve checked the Ikea website and can’t find anything that resembles the one pictured in your home. Thanks so much! 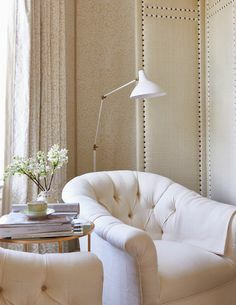 Wow, came across this when looking at inspiration for redecorating in the new year. 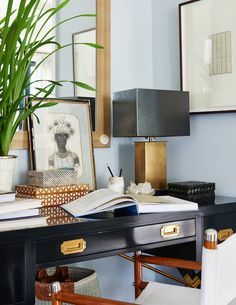 I love blue too, and just love your home decor! I may be stealing a few ideas…. I was just wondering if your going to come back to blogging? Miss your posts! Hi, I just found your site and so love it! I keep going over the pictures of your home that were featured in Home Beautiful. You have done a beautiful job! I absolutely love your upholstery headboard, the fabric is to die for! I have tried and tried to decipher your bedroom paint color that is posted but I am not able to figure it out. Would you be kind enough to help me out with the paint name. Thank you so much and I look forward to seeing all of your new renovations. Your home looks incredible! Love everything!